Bright and Shiny Cleaning Company is a family-owned floorcare business offering services throughout Palm Beach, Broward & Martin Counties. Our specialty is professional carpet and floor cleaning. Residential or commercial, large or small – whatever kind of job you have, we'll do whatever it takes to get it looking bright & shiny. We've been putting customers first since 1978. As a result, Bright and Shiny Cleaning Company has a reputation for outstanding customer service. From initial walk-through to project completion, we listen closely to our customers' needs and exceed their expectations with our work. Bright and Shiny Cleaning Company technicians are certified by the Institute of Inspection Cleaning and Restoration Certification (IICRC). We carry general liability insurance, workmen's compensation, and auto insurance. A cleaning company servicing commercial and residential needs! Mike Roussel is an accomplished, hands on and results driven professional, with over 30 years of management experience. Mike is IICRC carpet cleaning certified, providing trustworthy and dependable care to every cleaning service. As an active supporter of local charities and law enforcement programs, Mike is passionate about serving his community and integrating his Christian faith in everything he does. 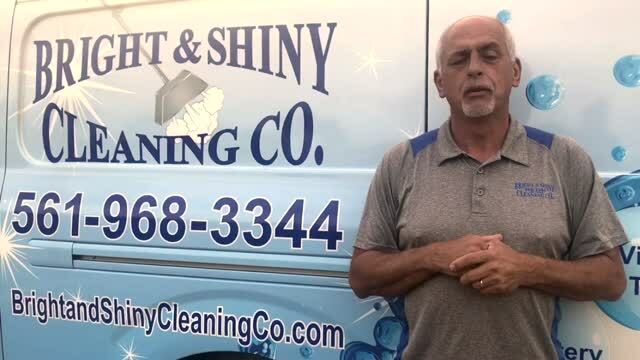 "I have been using Bright and Shiny Cleaning Company for over 6 years for my business and personal residence. They are professional, courteous, and reliable. I would highly recommend them. "